Wind and solar power are part of the energy of the future, but this kind of energy is intermittent which is a great challenge for their expansion. But things are changing, thanks to Big Data and artificial intelligence which are producing ultra-accurate forecasts that will make it feasible to integrate much more renewable energy into the grid. Every few seconds, almost every one of the hundreds of turbines records the wind speed and its own power output. Every five minutes they dispatch data to high-performance computers 100 miles away at the National Centre for Atmospheric Research (NCAR) in Boulder. 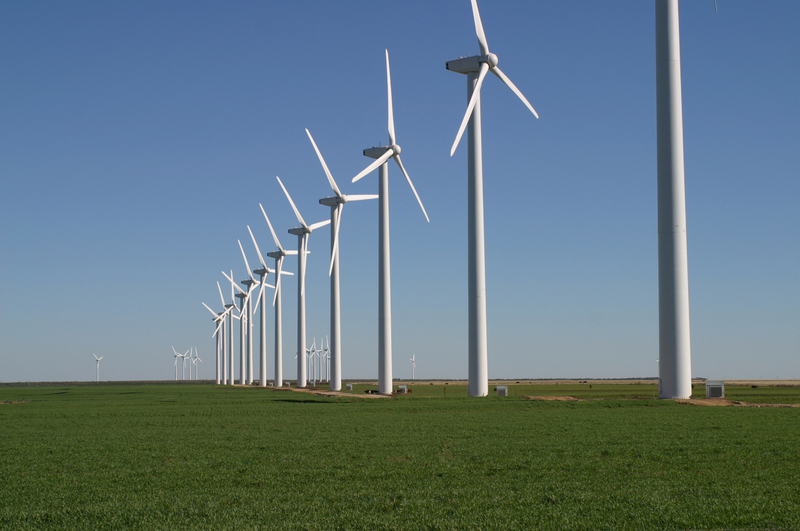 Their artificial-intelligence-based software analyse the numbers, along with data from weather satellites, weather stations, and other wind farms in the Colorado state. The result: wind power forecasts of unprecedented accuracy that are making it possible for Colorado to use far more renewable energy, at lower cost, than utilities ever thought possible. The forecasts are helping power companies deal with one of the biggest challenges of wind and solar power: its intermittency. Using small amounts of wind and solar power is no problem for utilities. They are accustomed to dealing with variability—after all, demand for electricity changes from season to season, even from minute to minute. However, a utility that wants to use a lot of wind and solar power needs backup power to protect against a sudden loss of wind and sun. These backup plants, which typically burn fossil fuels, are expensive and dirty. But with more accurate forecasts, utilities can cut the amount of power that needs to be held in reserve. It is a gain for the company and for the environment. A few years ago, energy dispatchers could not trust forecasts of how much wind and solar power would be available to the grid at a given time. Those forecasts were typically off by 20 percent (for wind), and sometimes power completely failed to materialize when predicted. 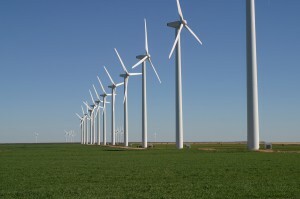 Now NCAR collects information from nearly every wind turbine. The data feeds into a high-resolution weather model and is combined with the output from five additional wind forecasts. Using historical data, NCAR’s software learns which forecasts are best for each wind farm and assigns different weights to each accordingly. Forecasting solar power is next for NCAR, but that can be even trickier than wind. NCAR’s new solar forecasts will use data from satellites, sky imagers, pollution monitors, and publicly owned solar panels to find how much solar power is being generated and then predict how that amount will change. The next step is not only modelling wind and solar power, but also linking these predictions with energy consumption trends in real-time : they are also looking at how to couple forecasts with smart dishwashers, water heaters, solar-panel inverters, water treatment plants, and electric-car chargers, etc. But, cleverer than this: we can use some devices to store electricity and then give it back to the grid. Take the example of electric cars. A car stores enough electricity to power a house for anywhere from half a day to several days, depending on the size of the battery pack. With small modifications, the cars’ batteries can deliver stored power to a home and to the power grid. There are not many electric cars now, but that could easily change in the decades it will take before renewable energy makes up more than 20 or 40 percent of the electricity supply. Forecasts like the ones being developed at NCAR will be critical to determine when the cars’ batteries should charge to maximize the electricity they make available to the grid without leaving drivers short of the power they need. These are perfect examples of the power of big data analytics and the Internet of Things potential to make a smarter planet.